Datuk Wan Selamah Wan Sulaiman, 61, a Malaysian, is an Independent Non-Executive Director. She was appointed to the Board on 15 January 2016. Datuk Wan Selamah obtained her Master in Business Administration (Finance) from Universiti Kebangsaan Malaysia in 1992. She is a Fellow of the Association of Chartered Certified Accountants, Member of the Public Sector Accounting Committee and Member of the Malaysian Institute of Accountants. 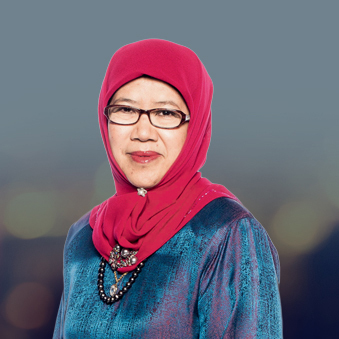 Datuk Wan Selamah began her career with the Government in 1979 as Treasury Accountant in the Examination Syndicate Department of the Ministry of Education. In 1982, she served the Ministry of Defence before joining the Accountant-General's Department, Ministry of Finance in 1984. Datuk Wan Selamah held various positions in the Accountant-General's Department, including Deputy Accountant-General (Corporate), Deputy Director of the Government Pensions Trust Fund, Director of the Information Technology Services Division and Director of the Central Operations and Agency Services Division between 1984 until November 2010. She was appointed the Accountant-General of Malaysia in 2010 and served in that position until her retirement in December 2014. Datuk Wan Selamah currently sits on the Boards of Prasarana Malaysia Berhad, Prasarana Integrated Development Sdn Bhd, JKP Sdn Bhd and Sime Darby Motors Sdn Bhd.